Symptoms/signs of infection include redness, warmth, swelling, pain, and drainage that is yellow or resembles pus. If one or more of these are present near an open wound, there is even more cause for concern. Localized infections may also spread to the bloodstream and cause problems such as nausea, vomiting, fever, chills, diarrhea, high blood sugars, and changes in heart rate, blood pressure or respiration. If you are exhibiting any of these, you must be seen by a medical professional right away so that treatment may be started. Serious infections, if left untreated, may cause the loss of a foot, leg, or even a life. Nail infections may involve a bacterial infection, which often demonstrate redness, pain, warmth, swelling, and/or drainage. These infections typically require that a portion of the nail be removed in the office in order to resolve the infection. Nail infections may also occur from fungus, which can cause the nail to become thicker, darker (typically a yellow or brownish color), and/or more brittle. These are treated differently than other nail infections. 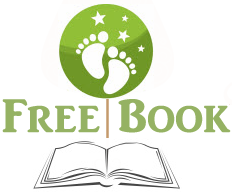 Click Below For Your Free Foot Health Book!